Before yet another weekend on the road, Rockets were pleased to have Head Coach Alan Keane returning from Spain though 3 Rockets Academy players remain there till next week but Keane was also pleased to welcome back the fit again captain Danny Carter. Though finding themselves again well down in the opening exchanges for the third game in a row (2-12 ) returning captain Danny Carter made his presence known with some excellent inside scoring and major rebounding. A length of the court pass from Trae Pemberton was taken by Carter and the fast approaching A J Carr finished the move as Rockets took control and Adrian O’Sullivan sank a pair of dish passes form Carr and Sydney Donaldson as Rockets eased to a first period lead of 25-16. Donaldson’s triple of trebles was one of the highlights of the second quarter with a Carter blind overhead reverse pass to Carr and a Donaldson cross court pass for Academy student Arinze Emeka-Anyakwo to strike a treble also holding prominence in the memory as Rockets stormed to a fifteen point advantage at the interval 51-36. The well marshalled Pemberton found some space and hit seven points whilst Carr was back to his game day best scoring inside, once with an excellent tip in and controlling the boards. Adrian Nosa Castillo sent a dish to O’Sullivan to finish Rockets scoring in the third period though some indiscipline allowed Warriors to be war like and get to within 10 points at 71-61. Ronan O’Sullivan scored Rockets first basket of the final stanza before the triple threat of Carr, Carter and Donaldson again impacted the game as Rockets returned to hitting 25 or more in any period and securing a solid on the road victory. Rockets had retained a 14+ advantage from the third minute though again, with the game won and conscious of a fourth game in 8 days ahead of them on Sunday, Head Coach Keane rested his seniors and Warriors hit a brace of trebles to leave the final score 96-82. Rockets had dominated the paint 56-26 and enjoyed the biggest lead of 21 pts. but it was the vast improvement in their field goal and 3 point shooting that was most pleasing. Top scorers for Rockets were A J Carr with 21 pts , 16 rebounds and 8 assists; Sydney Donaldson with 20 pts, 7 rebounds and 4 assists with Danny Carter hitting 17 pts, taking down 6 rebounds and having 8 assists. Having been delayed because of an accident on the M1 the team arrived just 45 minutes before tip and besides Tim Gill, looked jaded and out of sorts in the opening quarter though Gill’s 14 points kept Rockets just one point behind the hosts at 24-25. Danny Carter and Hendricks had scored trebles and Declan Soukup kept his purple patch of performances going. His bounce pass to Gill cut through Warriors defence whilst his first assist of the evening was gratefully accepted by Sydney Donaldson. Warriors shot brilliantly in the second period and took it by 25-18 as Rockets couldn’t find their range but Carter and Soukup ensured Rockets kept in touch despite being adrift 42-50 at the interval. The changing rooms saw change in commitment as the third quarter ignited Scotty Hendricks who hit a brace of trebles, had a 3 point play from the free throw line and drove for two scores. With Soukup running the show for Rockets, the band of Rockets supporters showed their appreciation, and Soukup hit the first of his pair of trebles as well as scoring from a determined drive, though his floor dive to get Rockets possession showed everyone Rockets want this one. Warriors but again and again Warriors kept a one or two point advantage right up until the last 30.2 seconds. Gill and Carter worked tirelessly inside alone and together bringing fight and drawing fouls. At one point down with 3 minutes to go Hendricks thought he’d got his three point score off before the buzzer but the table ruled it out so more determination needed to get the vital win and try for the home draw in the Play-offs. At 84-86 with 30.2 seconds left Carter stroked one from two form the line but again Warriors matched it though Soukup jumped high and hit a great treble from the top of the key to give Rockets the single point lead causing Warriors to take a time -out. Rockets stopped Warriors offence and when Carter was fouled as he took down the rebound, he was secure from the penalty stripe so Rockets advantage was three points with 5 secs left. Another Warriors time out and with the buzzer about to go off Warriors outstanding player Carl Pearson stumbled, dropped the ball but got the shot off only to see him bank a treble and take the game to overtime, Rockets first of the season as the scores were level on 90. Pearson immediately hit another treble to give Warriors an early lead in this five minute period but Donaldson stroked a rare treble to tie the game. Yet another Gill rebound saw him hit one from two from the line before Carter stroked a crucial treble, his fourth of the evening. Warriors weren’t going to give it up now and Pearson hit yet another treble, his third in less than 2 minutes of play. Carter went off the glass but another Warriors treble tied it all at 99 with less than two minutes to go. Warriors edged ahead but a Hendricks treble gave Rockets a single point lead at 102-101. Warriors scored from the free throw line to level it again on 102 with 40 seconds left. Rockets defended with all their might and tenacity causing Warriors to have a 24 second violation and more importantly lose possession. Head Coach Manuel Pena Garces called a time-out as 16.3 seconds showed on the clock. Rockets inbound the ball, used up the time before Scotty Hendricks took a shot beyond the arc and was fouled, right on the end of game buzzer. Hendricks went to the line and hit all three shots to see Rockets still in contention for a top four league place and a vital victory by 105-102. A truly competitive game as always promised at Leicester with top scorers for Rockets being Scotty Henricks with 29 pts., pts and 4 steals, Danny Carter with 26 pts., and 6 rebounds, Tim Gill with another double double of 20 pts., and 14 rebounds. Declan Soukup had 15 pts.,6 assists and 5 rebounds with Sydney Donaldson finishing with 11 pts., and 4 assists. 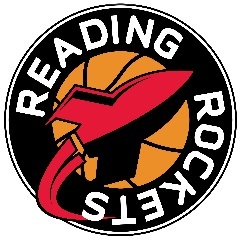 Rockets now play again tomorrow ( Sunday ) at home against Derby Trailblazers, tip off 5 pm. With a double digit lead gained in the first six minutes coupled to Chris Hooper being on fire with sixteen points and seven rebounds in the opening quarter, Head Coach was quick to give his lesser experienced and young Academy players much court time recognising the bruising battles ahead with just seven league games remaining and a tough run in for Rockets against three of the other top five teams vying for the title. Ali Sbai sent a great pass to Juan Valerio to stroke the first of his four trebles but Warriors hit a brace of their own to stay in contention. Craig Ponder had begun with four assists and Hooper had taken down seven rebounds as Rockets showed their determination to keep the winning streak. A couple of trademark pull up jump shots form Ponder and a steal, drive and score saw Rockets lead 26-14 at the first break. The second quarter was more even as Warriors stepped up their defence and again stroked a brace of trebles after finding themselves nineteen points adrift at 39-20. With Hooper rested it was Danny Carter who made a big block during Warriors 9-0 finishing run giving Rockets a bigger advantage at the half way stage 45-31. Warriors cut that deficit to single figures with their first possession in quarter three as they hit three trebles and came within six points of Rockets in a 19-2 run much to the frustration of Head Coach Manuel Pena Garces. Hooper made a block, passed to Ponder who found Valerio to sweetly stroke a treble. Carter made a block and then sent an arrow pass to Valerio to hit another trademark treble and see Rockets back with a double digit lead at 55-45. A Hooper dish to Valerio to make it three trebles for the Spaniard in this period encouraged Carter to hit a treble and when Paulin Jardim finished a fine fast Rockets break, they had gone on an 8-1 run and had a more comfortable 65-50 lead going into the final stanza. Tight Rockets defence caused Warriors to succumb to a 24 second violation right at the start and Fidel Gomez took down an early key rebound to stop Warriors again. Swift passing from Ponder to Carter and back to Ponder saw the American point guard make a three point play easing Rockets to an eighteen point advantage early in this last quarter. Despite a Jardim steal, Warriors fought tenaciously to break up Rockets game and went on a 14-2 run. Hooper and Ponder stepped up again with Hooper scoring off offensive rebounds and Ponder making a great stop before hitting a down town treble seeing Rockets ahead by thirteen points with just over a minute left. Warriors hit their last treble as Rockets played a wise end game to extend their winning run to fifteen and cement their second place in the league with just seven games to go in the league season. Rockets will need their defence to be better for tomorrow’s home game at Rivermead at 5 pm when they entertain last weeks’ National Trophy Cup London Lituanica. Top scorers for Rockets were Chris Hooper with 33 pts. and 16 rebounds; Craig Ponder with 17 pts.,7 assists and 5 steals and Juan Valerio with 12 pts. Still without the injured Joel Keeble but with 16 yo Ibu Jassey Demba now cleared to play, Rockets took their third consecutive league win of the season and extended their winning streak to ten in all three competitions. This was a fine team performance against a sharp shooting Leicester outfit as all Rockets players ( except Demba ) scored and contributed defensively. An opening quarter 12 point advantage remained intact for most of the game before a 28-17 final period eased Rockets to victory. Top scorers for Rockets were D’Montre Edwards with 23 pts., followed by Danny Carter and Wayne Yeboah with 14 pts., each , David Ajumobi with 11 pts. with point guard Antonio Robinson scoring 8 pts. but also taking down 12 rebounds and making 7 steals in a most complete performance .